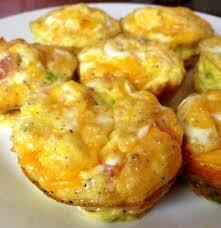 These mini quiches are great to freeze for a quick on the go breakfast later. Here, a typical crust is substituted with shredded coconut. Preheat oven to 300oF. Combine coco- nut and melted butter. Divide coconut among mini muffin tins. Saute onion for 10 minutes in 2 tablespoons butter. Cool onions then divide evenly over coconut crust. Beat eggs, add milk, salt, pepper, and swiss cheese. Pour by spoonfuls on top of onions in tins. Do not fill to the top as they will run over. Bake until set, about 15-20 minutes. Do Not Overbake. This is a terrific, versatile dish. 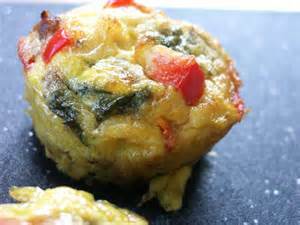 You can make these omelet muffins to please everyone in the family by changing up the ingredients. You can make these ahead and keep them in the refrigerator for a quick and healthy breakfast all week. Preheat the oven to 350 degrees. Grease 6 muffin tins or silicon muffin cups with butter and/or coconut oil. (DO NOT USE TEFLON PANS). 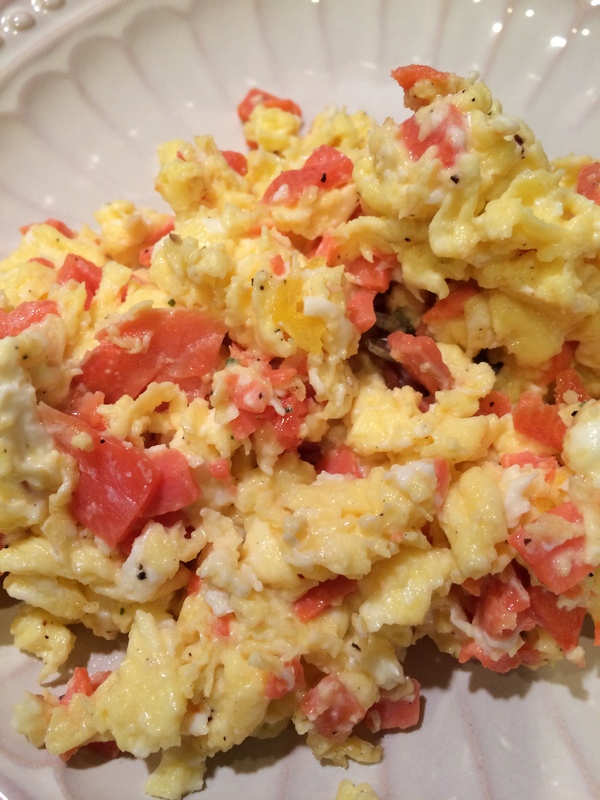 Beat the eggs in a bowl and add desired ingredients. Spoon into muffin cups and bake for about 18-20 minutes or until a knife comes out clean. NOTE: You can always make this into a crustless quiche by pouring the mixture in a buttered pie dish and cooking for a bit longer. Mayonnaise is a favorite condiment but store bought versions are loaded with dangerous ingredients like vegetable oil, soybean oil, preservatives, and chemicals. This is a breeze to make and can be altered to your specific tastes. It can be used to mix in with eggs to make omelet muffins, spread on deli meat and rolled up, used for chicken or egg salad, mixed into mashed cauliflower, as a base for salad dressing, or used in sauces or soups. Put egg yolks into blender and blend until smooth. 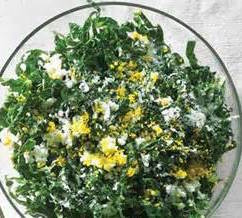 Add lemon juice or vinegar, mustard and salt/pepper and blend until well mixed. This is where you need to be patient…keeping the blender on low speed, SLOWLY add oil, using the olive oil first. Start with a just drop at a time until your start to see it emulsify and then keep adding slowly until all oil is incorporated. Do the same with the coconut oil. Transfer to a jar or container and store in fridge up to 1 week. It will thicken even more once refrigerated. 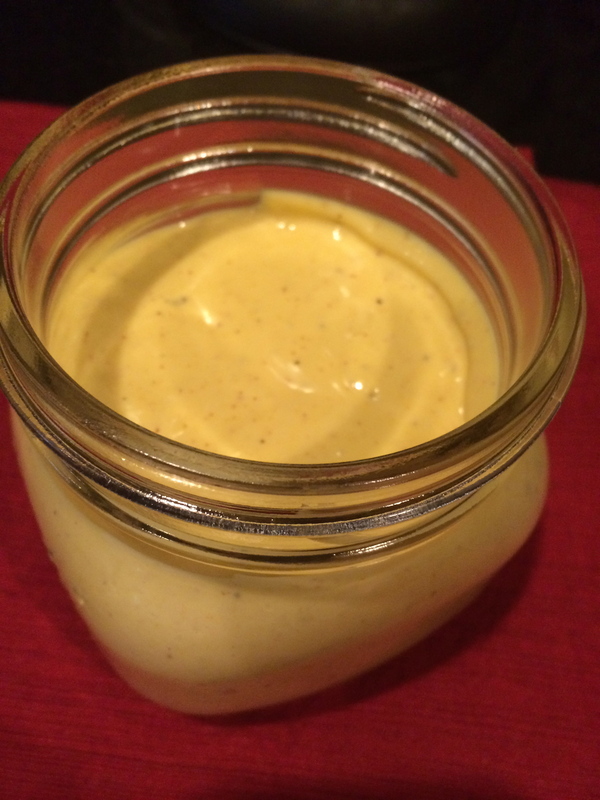 I like my mayo with more mustard which is why it looks very yellow. You can use as much or as little as you wish. This is a great go-to recipe. You can make them ahead and freeze them or pack them in lunchboxes. This is a perfect recipe for breakfast, lunch, or dinner. They can be eaten hot or room temperature. Preheat oven to 350 degrees. Grease muffin tins with coconut oil or use silicone muffin liners. Whisk the eggs and stir in the rest of the ingredients. Spoon into muffin cups and bake for 18-20 minutes or until a knife comes out clean.